A gallery wall can be a great way to add personality to any room. However, it can also be overwhelming to compose and install multiple elements into a cohesive composition. 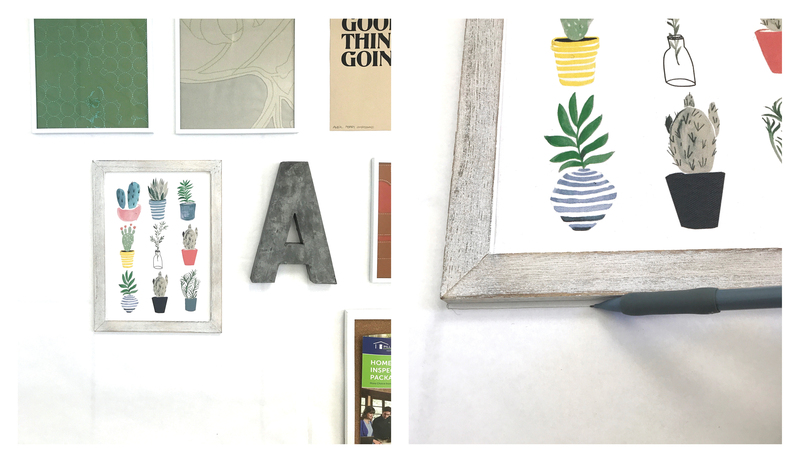 These hacks should help you create the gallery wall of your dreams! 1. Choose your wall wisely. Examine the items you want to include in your gallery wall. Are all of the items going to fit comfortably on the wall you’ve chosen? 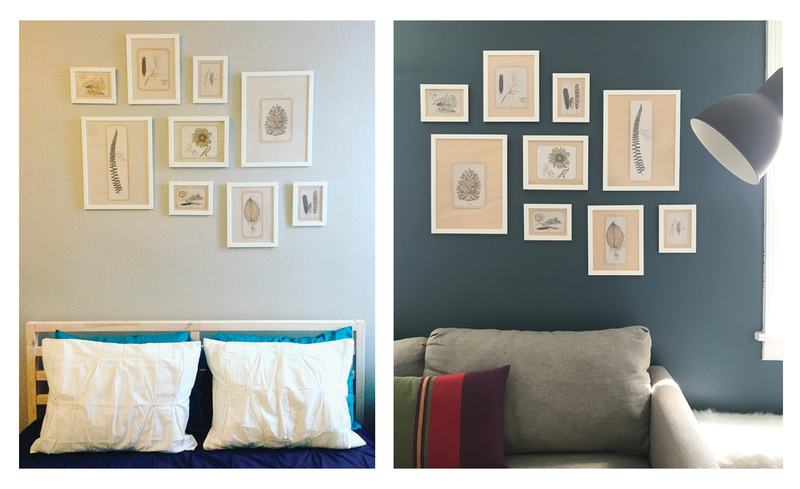 Does the paint color of your chosen wall make your gallery wall pop or just fade away? You may even need to paint your wall with an accent color before hanging your gallery! If you’re wanting to create a gallery wall but lacking the content to do so, try buying a collection of prints from your favorite artist. I created the gallery wall above with prints from Love Hawk, AKA David Hale, an artist in Athens, GA. If you want to get really inexpensive, try using the images from a calendar. 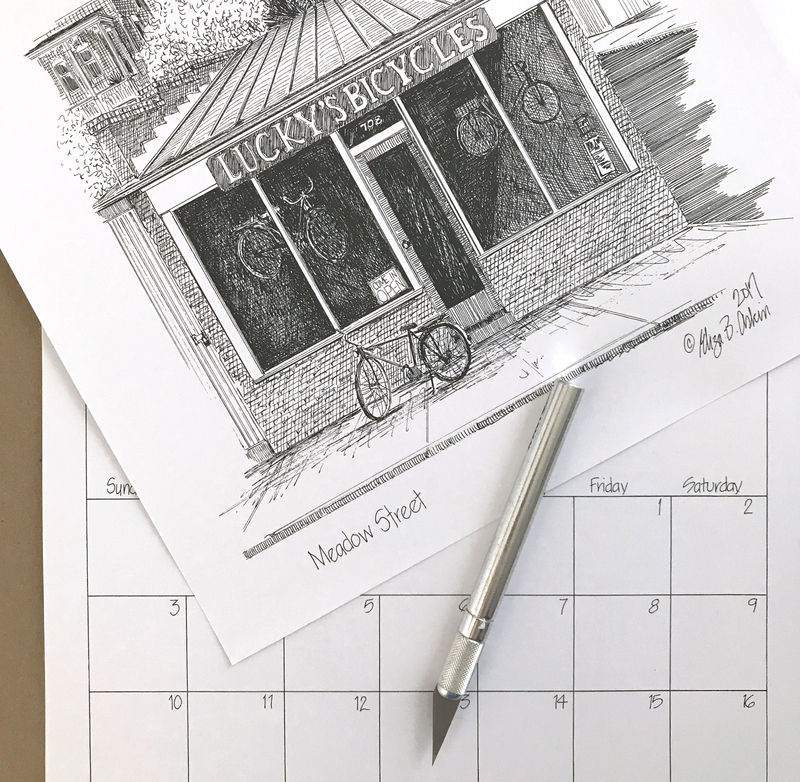 The gallery wall for my giveaway is composed of illustrations from the Richmond 2018 calendar by Eliza B. Askin. You could also just ask your friends! My very good friend Jordan Greene of Skane Design contributed his “You’ve Got a Good Thing Going” print to the gallery wall featured in the images below! Finally, my ugly tile floor comes in handy! When planning my own gallery wall at home, I knew I needed a grid to help organize the composition. If you don’t have a tile floor, try a bed sheet, blanket, or rug with a grid-like pattern. Lay all of your gallery wall elements out on the floor. Organize them. Re-organize them. Edit them. Take some items out. Add some new items in. Re-organize them again. It can take a few tries to get your gallery wall just right! Just make sure you’re snapping photographs along the way, in case you land on something you need to remember later. 5. Create your own template. 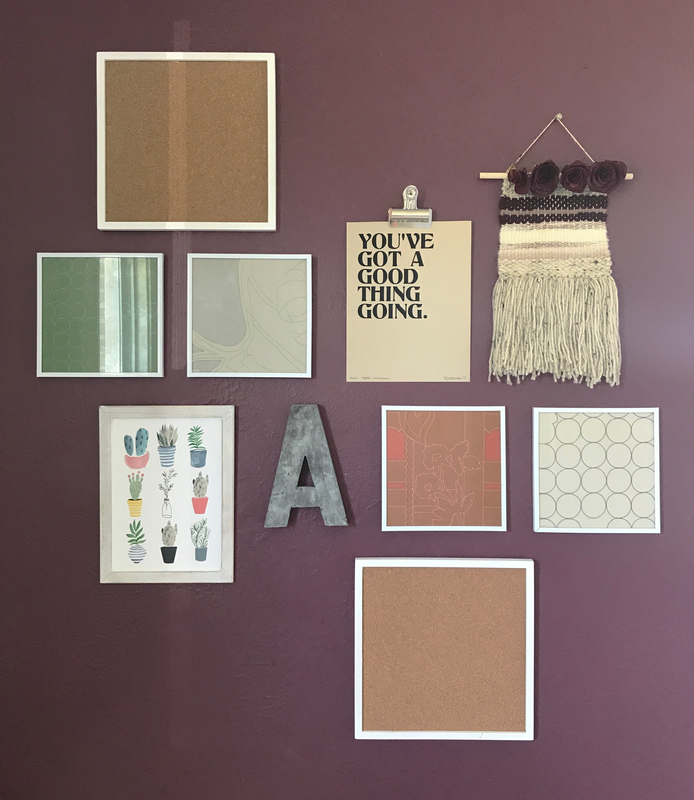 Once you have the perfect composition, transfer all of the gallery wall elements to a large piece of paper. Don’t have a ginormous piece of paper? Try taping together some strips of wrapping paper. Bonus if you buy the wrapping paper with a grid on the back to help with tip #1! Trace each element onto your template, making sure to leave even amounts of space between each item. 6. 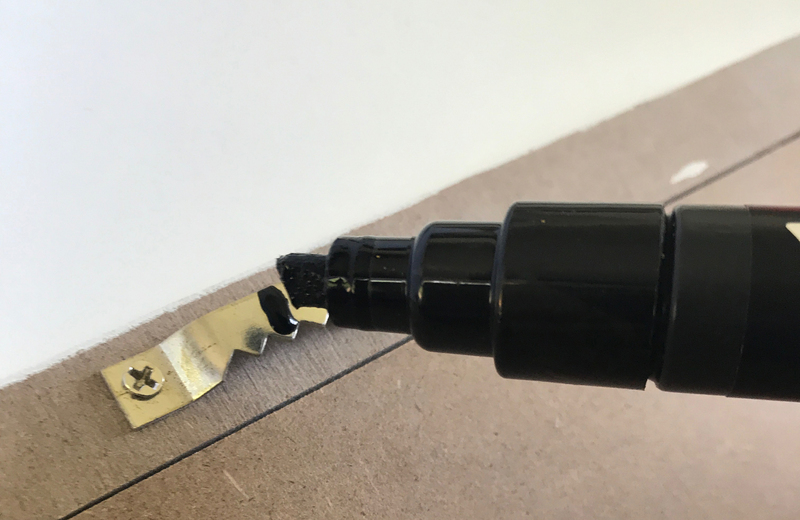 Add a mark for the nail. Now you know where each element goes on your template, but how do you know where to put the nail? I use a paint pen to add a little dab of paint to the hanging hardware on each frame. Then I press the item onto the template within its traced shape. Viola! You now have a guide for where to hammer each nail. Tape your template to the wall. Hammer your nails. Rip the template off. Hang your elements. DONE! 8. 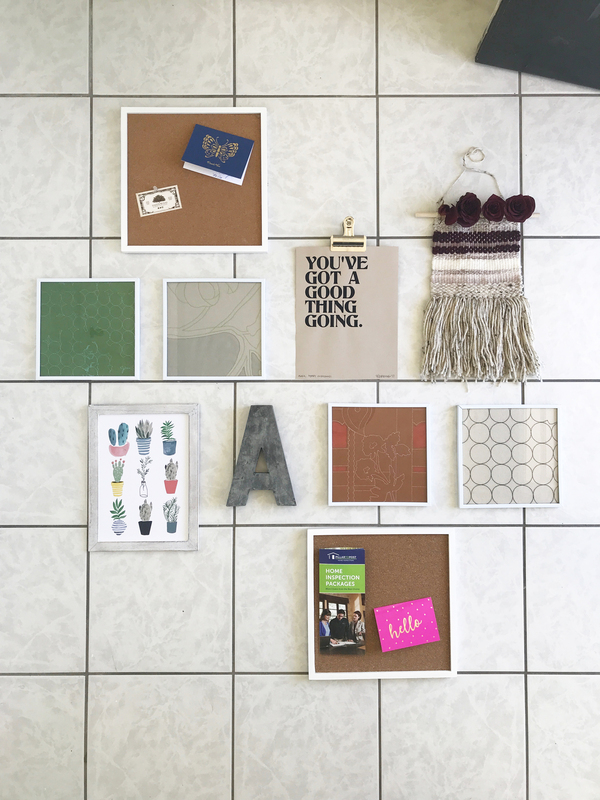 Win a free gallery wall instead! You can also skip all of these tips and tricks by WINNING your own gallery wall. 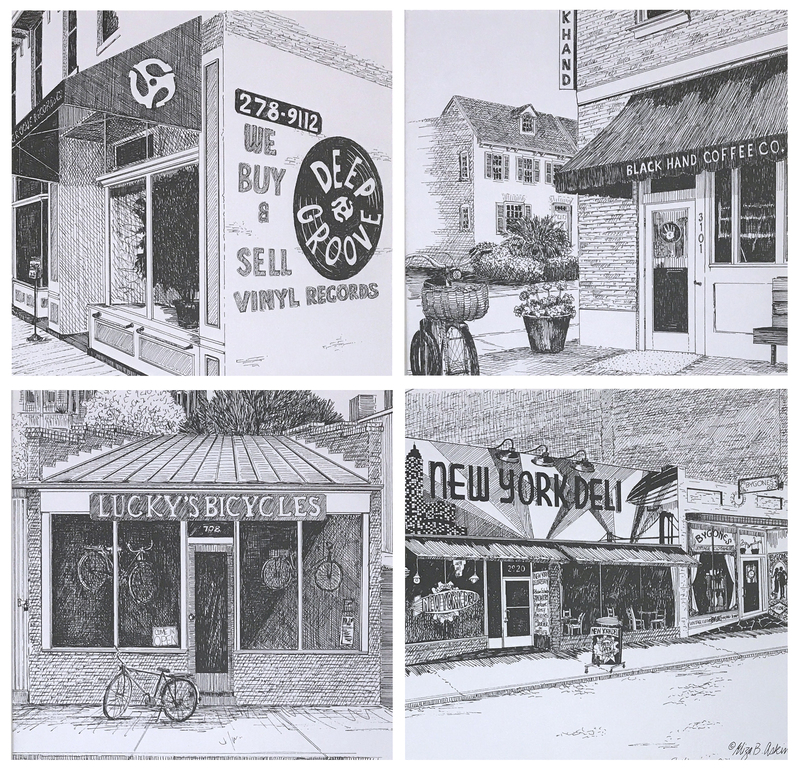 One lucky winner will receive a gallery wall made up of nine beautifully illustrated images of Richmond, Virginia! It even comes with a premade hanging template for easy installation. To enter for your chance to win, just share this article on Facebook, and make sure to tag Alexandra Leigh – Realtor in your post. The winner will be announced Friday, June 22nd! I hope these tips are helpful! If you have some of your own, I’d love to hear about them. 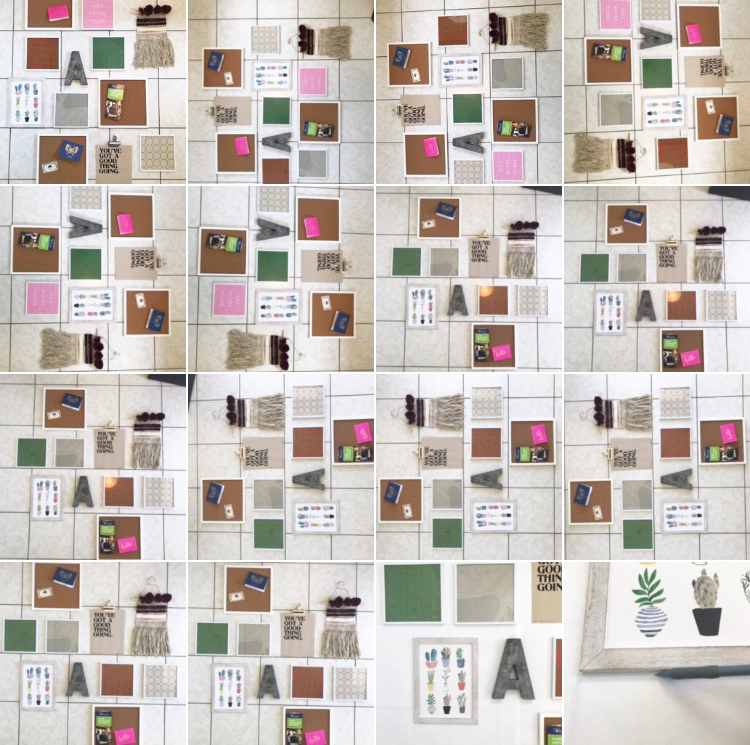 E-mail me at alexmakeshomes@gmail.com to share your favorite gallery wall images and hacks!